Dhaka, May 28 : The state-owned Bangladesh Submarine Cable Company Ltd (BSCCL) is set to initiate the process of exporting its unused bandwidth to north-eastern states of India early next month. The BSCCL will sign a deal with an Indian firm to this effect during the visit of Indian Prime Minister Narendra Modi to Bangladesh in the first week of next month, said officials. "We are expecting to ink the deal with Bharat Sanchar Nigam Ltd (BSNL) to supply 10 gigabyte per second (gbps) bandwidth during the Indian premier's next week's visit," BSCCL deputy general manager for the international internet gateway (IIG) Abdul Wahab told the FE Wednesday. All is now set for inking the deal, he added. The BSCCL is expecting to fetch around Tk 94.20 million (US$1.2 million) through the export of 10 gbps bandwidth to the Indian firm annually, Mr Wahab said. The export capacity could be raised to 40gbps, he added. The cabinet approved last month the signing of the agreement to export the bandwidth to the BSNL for supplying to India's north-eastern states on lease and commercial basis. "We have plans to export more of our unused bandwidth to augment our earnings," the BSCCL company secretary Abdus Salam Khan told the FE. Officials said the BSCCL is a member of two international submarine cable consortiums-the South East Asia-Middle East-West Europe 4 (SEA-ME-WE 4) and the South East Asia-Middle East-West Europe 5 (SEA-ME-WE 5). It has already been working under the SEA-ME-WE 4 which stretches from France to Singapore. The work on the SEA-ME-WE 5 is underway and it is expected to be finished by 2015. The SEA-ME-WE 4 is an optical fibre submarine communications cable system that carries telecommunications between Singapore, Malaysia, Thailand, Bangladesh, India, Sri Lanka, Pakistan, the United Arab Emirates, Saudi Arabia, Sudan, Egypt, Italy, Tunisia, Algeria and France. The submarine cable capacity of the BSCCL under its existing SEA-ME-WE 4 is around 200gbps and with the launching of the SEA-ME-WE 5 the capacity would be raised to 1,500gbps. 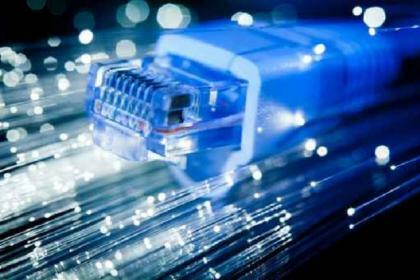 Currently only 30gbps internet bandwidth is being used in the country and the remaining 170gbps remained unused. After next week's deal for exporting bandwidth to India, the BSCCL will be looking for bandwidth export to Italy, Mr Khan said. On completion of preliminary discussion the BSCCL has already sent a proposal to the post and telecommunications division under the Ministry of Post, telecommunications and Information Technology to export around 90 gbps bandwidth to Italia Sparkels at a price of Tk 160 million. The Italian firm would pay BSCCL Tk 4.80 million per year to bear the maintenance costs of the submarine cable.